Sure the 2014 Toyota Venza is a well-made, reliable vehicle, but here at Middletown Honda we simply don’t think it stacks up to the 2014 Honda Crosstour. This crossover, based on the latest Accord, offers smooth handling, flexibility, impressive fuel economy, and a spacious, versatile interior. We simply don’t think the Venza has what it takes to compete with the Crosstour. Read on for more specifics. 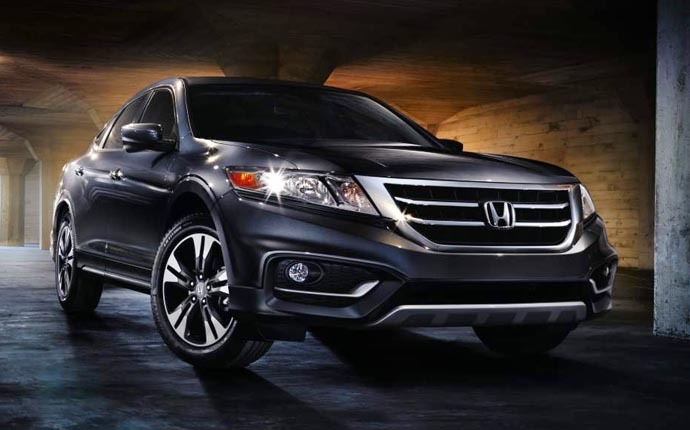 The base 2014 Honda Crosstour with two-wheel drive and gets an inline four-cylinder good for 192 hp and a 31 mpg highway rating from the EPA. * The base Venza gets a four-cylinder good for only 181 hp and a 26 mpg highway rating from the EPA. The top end 2014 Honda Crosstour EX-L with all-wheel drive and a V6 cranks out 278 hp and still nets a 28 mpg highway rating from the EPA. * The top end Venza with a similar V6 and all-wheel drive only makes 268 hp and is rated at 25 mpg on the highway. Again, the choice seems pretty clear. The Crosstour also carries almost a gallon more gas than the Venza, so with better fuel economy and a larger tank, you’ll be able to go longer between fill-ups. The Venza is well equipped, but the Honda simply has it beat in some key areas. The Crosstour gets a rearview camera standard. That’s especially important for backing up or parking in busy or crowded areas. The Honda also gets floor-mats, which are important for all-weather use. Finally, the Honda gets a power moonroof standard and that’s only an option on the Venza. We’re happy to be your leading local Mechanicstown-area Honda dealer, so stop by soon. We’ve got the current Crosstour in stock now, and we’re happy to show you what this versatile vehicle can do! We’ve also got a wide variety of current Honda vehicles and a selection of pre-owned cars as well. We’re located at 520 W NY-211 in Middletown, just minutes northeast of Mechanicstown. We hope to see you soon! * 22 city/31 highway mpg rating for 2WD 4-cylinder models. 20 city/30 highway mpg rating for 2WD V-6 models. 19 city/28 highway mpg rating for 4WD V-6 models. Based on 2014 EPA mileage ratings. Use for comparison purposes only. Your actual mileage will vary depending on how you drive and maintain your vehicle.